Call for publication of the selected paper on a regular issue of Miskolc Mathematical Notes . 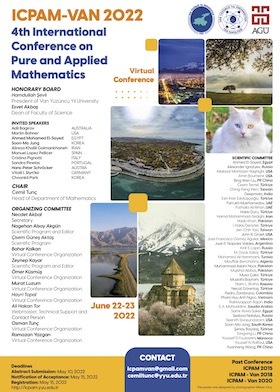 Call for publication of the selected paper on Carpathian Journal of Mathematics . Call for publication of the selected paper on Journal of Taibah University for Science (JTUSCI) . Call for publication of the selected paper on Journal of Mathematical Analysis (JMA), Journal of Inequalities and Special Functions (JIASF) and Bulletin of Mathematical Analysis and Applications (BMAA). Call for publication of the selected paper on Applications and Applied Mathematics: An International Journal (AAM). The conference program and draft abstract book are avaliable now. This page is related to ICPAM - Van 2018, to access the pages of ICPAM 2015 click here. 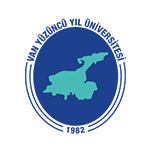 Van Yuzuncu Yil University is pleased to invite you to participate in the International Conference on Pure and Applied Mathematics (ICPAM 2018) which will be held in Van Yuzuncu Yil University, Van-Turkey, September 11-13, 2018. 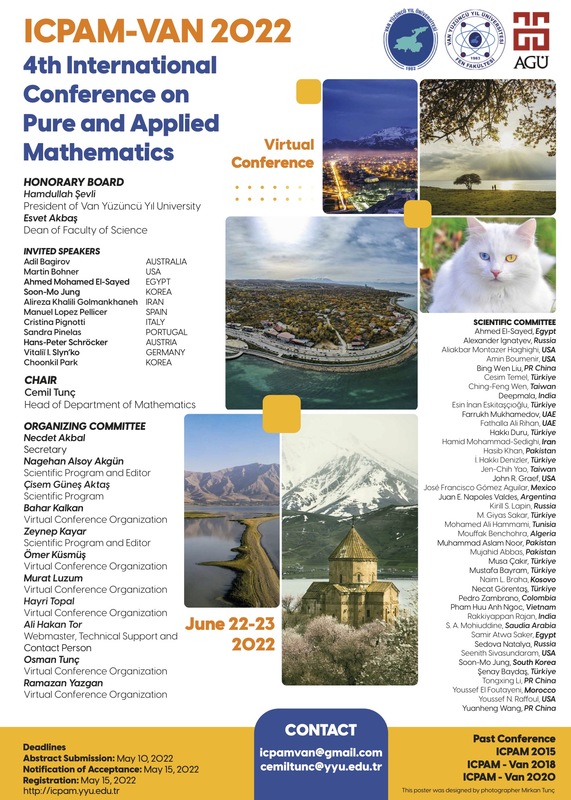 The main aim of the conference is to promote, encourage, and bring together researchers in the field of pure and applied mathematics. This international conference is open to all researchers in the field, and you are invited to contribute a talk on your current work. Young researchers and PhD students will find the environment particularly welcoming. This meeting is the second edition of ICPAM meetings and you can find information about the first meeting (ICPAM 2015) here. It will be mathematically enriching and socially exciting event. We look forward to welcoming you in Van, the city of the sun.